The MLHS drama department’s One Act Play this year is a potpourri of word play—spoonerisms, puns, malapropisms, and mixed metaphors are some examples of what you’ll hear in this short comedy. Directed by Tim Bode (’76) and written by Bethany Lutheran College theatre professor Peter Bloedel, A Play With Words follows the story of Scribe, a writer who relates his tale of helping Mr. Me, Miss I, and Mr. Myself find their lost “what.” Along the way he encounters Us, a persnickety punster; You, a spouter of spoonerisms; It, a master at malapropisms; They and Them; and Judge Herb of the mixed proverb, among others. Cast members are Kiya Aurich, Lane Bode, Katie Clark, Johnny Erdmann, Harrison Green, Jack Heinlein, Sophie Heuer, Grace Litzau, Austin Maetzold, Josh Marlatt, Stasia McKinney, Andrew Pehl, Katelyn Shipler, James Switch, Joey Switch, and Alex Telford. at 7 PM in the Fine Arts Center Auditorium. Admission is Free. 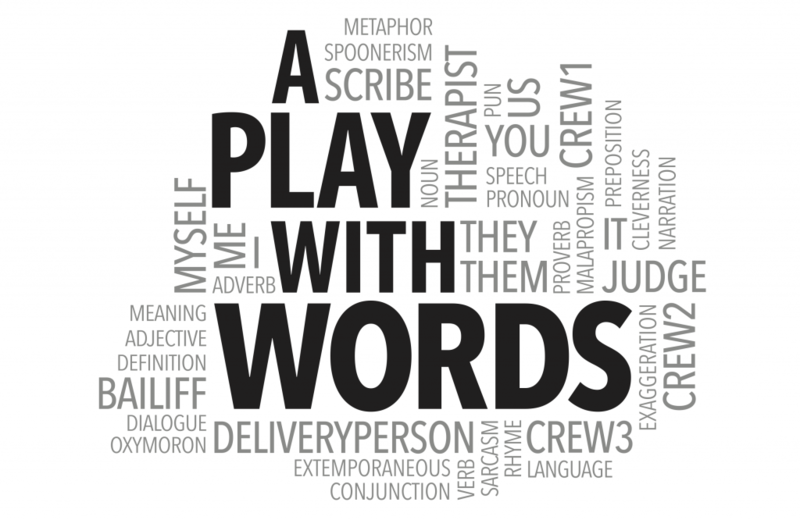 A Play With Words will also be performed at the MN River Conference One Act Play Festival (which is open to the public) on January 20, 9:00 AM at Le Sueur-Henderson High School. MLHS is the first school to perform at the Festival. Admission to the Festival is $6.00 for adults & $4.00 for students. Subsection competition is Saturday, January 27 (time and place are still to be determined), and if A Play With Words is selected to advance, the Section competition will be held February 3 at St. Paul Academy.